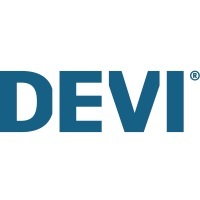 How do I add the DEVI Smart App to my DEVIreg Smart thermostat? When the App is opened for the first time the DEVI Smart App will show a step by step guide on how to add the App to the DEVIregTM Smart thermostat. Follow the step by step set-up guide for the initial set-up. b. You can share an established configuration by [Share house] and [Receive house]. Please refer to “How do I share access to my Smart thermostat with other users”. Do we need Wi-Fi in the house all the time?